Sweet with Heat books are the sweet editions of the award-winning Love in Bloom steamy romance novels by New York Times bestselling author Melissa Foster. 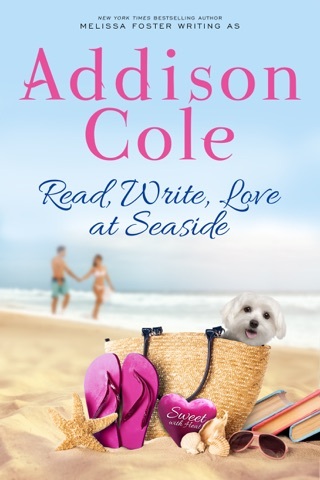 Addison Cole is Melissa Foster’s sweet-romance pen name. Sweet with Heat books convey all of the passion you expect between two people in love, without any explicit scenes or harsh language. 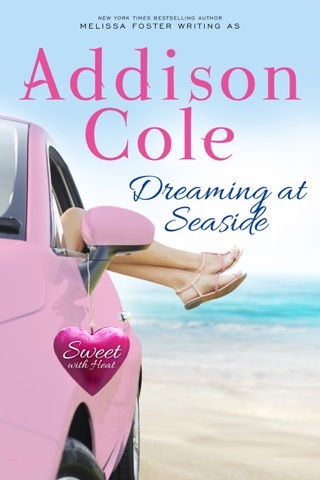 Full of humor, heart, and satisfying happily ever afters, Sweet with Heat novels are perfect beach reads. 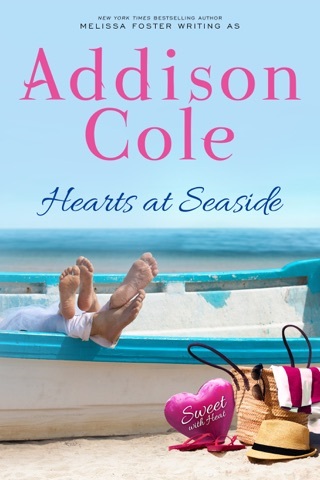 The perfect beach read for fans of Susan Mallery, Sherryl Woods, Brenda Novak, Nora Roberts, and other big-family, small-town romance fans. Characters are romantic and loyal. Some are wealthy, some are not, and you're guaranteed to enjoy a loving happily ever after. Will Violet continue to run? Violet has finally planted some roots her stepsister Desiree when her mother Lizza again breezes in late to Desiree's wedding. Along with Lizza she brings along Andre. Andre is the man that stole Violet's heart and then the man she ran away from two years ago. Andre, a pediatrician, and Violet met when they were both serving on a mission in Ghana and Andre was able to see through the walls that Violet put up and see her. Violet did not know how to take this and left Andre after the mission to begin her new life at Summer House with Desiree. At the same time, just like running from Andre, Violet continues to "run" from those in her life and keep parts separate in case one falls. When Andre comes barreling back into Violet, or as he refers to her Daisy, will Violet continue to run? 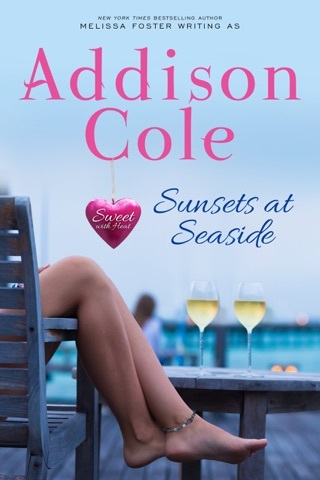 Sweet Escape at Bayside is one of the most emotionally complex novels written by Addison. Violet is an amazing woman who is learning that all of her parts do not need to be separate and Andre is helping her show this. This novel shows the strength of friendship, sisterhood, love and how creativity brings beautiful moments to a life. You will absolutely not be disappointed in this newest novel from Ms. Cole. I love this book! Violet and Andres story is about trusting other people and letting them into your life and not be afraid they’ll abandon you in the end! Violet keep her worlds apart and was so afraid to trust because of her upbringing by her lovable but crazy mother! She and Andre met 2 years prior and fell in love. She took off and left him after he asked her to marry him and received a letter saying her sister needed her. It was a matter of life and death. 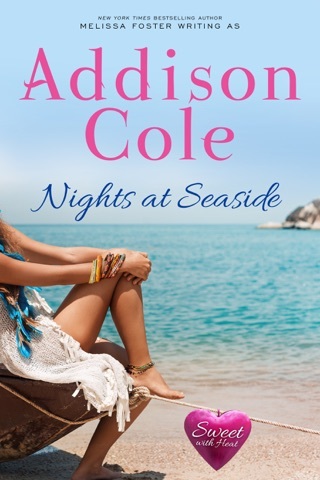 Addison Cole weaves such a beautiful unconditional love story about two people who are opposites yet in reality they’re not. It’s a story about growing up in an unorthodox way. Never in one place too long, mother taking off and leaving Violet on her own a lot., hence abandonment issues. Andre helps her see how worthy she is of love and how much love she gives to her friends and community and they give back to her! WOW! 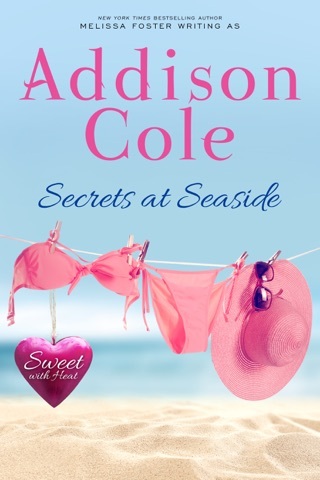 Sweet Escape at Bayside (Sweet With Heat: Bayside Summer Book 4) by Addison Cole is a sweet second chance at romance book. I loved Violet’s tough biker girl personality in the Bayside series but in this book you read about the two sides of Violet. One personality is the tough biker she shows to her family and friends and the other she keeps hidden. Then Violets mother Lily brings Andre as her date to her sister Desiree wedding and Andre is the love Violet ran away from two years ago. Loved how the two years changed both Violet and Andre and how they dealt with their life when they were apart and how they are dealing with their love for each other now. I throughly enjoyed reading this book and highly recommend reading it and you will love Violet and Andre story. I received a free copy of this book for an honest review of it.